Coffee, tea, a glass of red wine, they’re simple indulgences which we should all be able to enjoy without having to worry about what they can do to our teeth. Unfortunately they do leave their mark, resulting in stains that can be impossible to remove with normal brushing. If you’re a smoker, there’s no hiding the tell-tale sign of your habit on enamel. There’s also the much wider effect staining will have on your overall appearance and confidence, with the potential to leave you feeling self-conscious. Our Whyte House dental hygienist Mel Rolinson recommends Diamond Clean – a “quick, effective fix” that will help put the sparkle back into your smile. Diamond Clean is a powerful air-polishing system that thoroughly cleans and freshens up your mouth and teeth. It is minimally invasive, removing stains quickly, softly and gently, without damaging the enamel or the structure of teeth. During the procedure, a water jet directs Flash Pearl cleaning powder over teeth, rolling it over the enamel to remove stains. The granular structure of the powder means it thoroughly cleans difficult-to-access areas that a toothbrush would struggle to reach. During treatment, Diamond Clean will also safely remove plaque and even calculus or tartar which, if left, can lead to gum disease and ultimately, decay and tooth loss. Although a good regular at-home hygiene routine will help, once it has formed tartar is too hard to be brushed away and has to removed by a dental professional. Thanks to national Direct Access arrangements, anyone can make an appointment for a Diamond Clean treatment. You don’t need to be referred by a dentist, you don’t need a dentist’s prescription and you don’t have to be registered as a patient with The Whyte House. 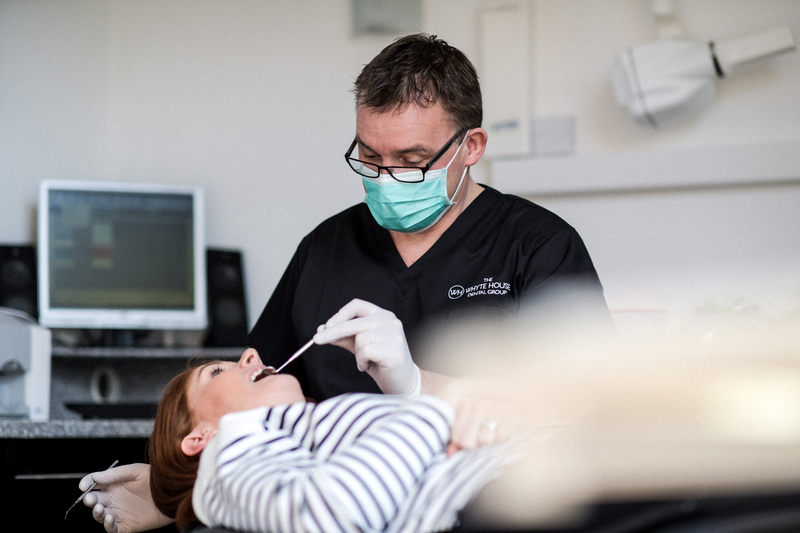 To book a Diamond Clean treatment with our Dental Hygienist call 01392 877494.